Dismantling Racism Works (dRworks) has had the honor of learning with and from hundreds of activists, leaders, and community members over the course of the last 12 years. With hearts full of gratitude for that spirit of collective growing, we announce we are no longer offering trainings, workshops, or organizational consulting. Dismantling Racism Works did our work in fluctuating political climates from 2005 and for another decade before that under the name of ChangeWork until we closed in May 2017. We know this work is far from over. We know that we continue to have an incredibly strong need for wise and thoughtful anti-racist leadership in this moment. We hope that the resources dRworks has generated can be part of that ongoing work and to that end, we are making our workbook available online. We ask each of you who have been touched in some way by the dRworks process to continue moving into embodied, healing anti-racist praxis for yourself and the movement in the years to come. We look forward to continuing to fight for a more just world alongside you in different ways and forms. We offer infinite love and respect to all of the trainers who have been part of dR works since 2004: Cecelia Alvarado, Cynthia Brown, Bree Carlson, Keagha Carscallen, Cristina Rivera Chapman, Jonathan Henderson, Delmarie Hines, Vivette Jeffries-Logan, Alice Johnson, Michelle Johnson, Kenneth Jones, Jes Kelley, Tema Okun, Suzanne Plichik. 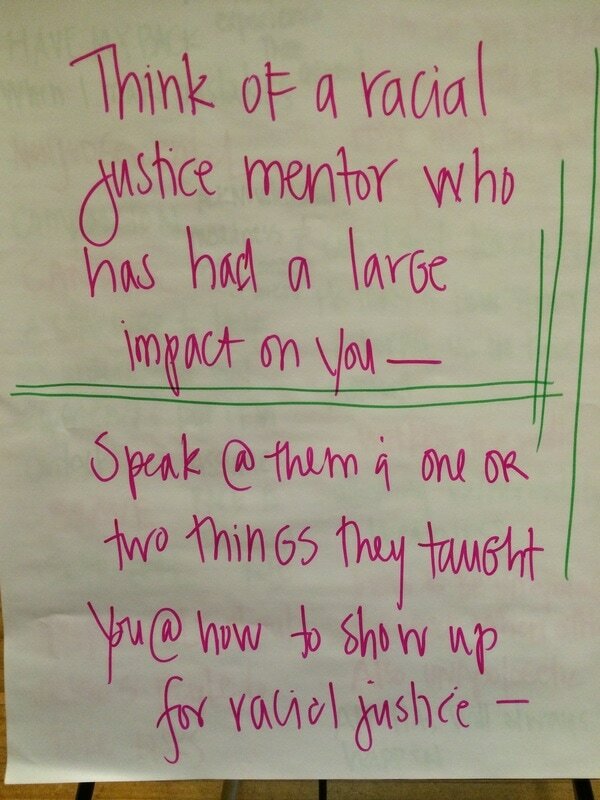 ​May 2017, we invited guests to share what they know for sure about working for racial justice. This poem is the result.